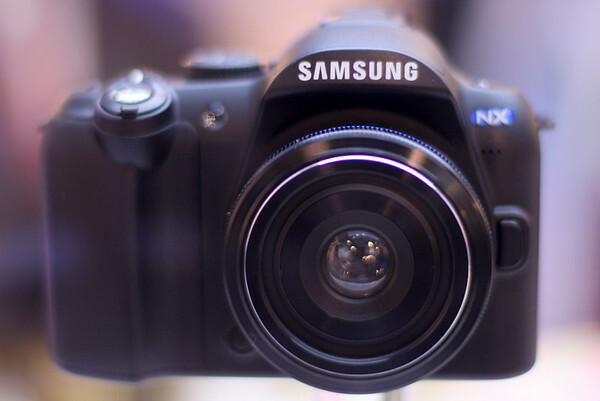 The Samsung NX10 is the one of the new kids on the hybrid camera block. Like Micro Four Thirds cameras from Panasonic and Olympus, the NX10 features a DSLR-sized sensor, but offers full time live view and no optical viewfinder (but rather an electronic viewfinder). 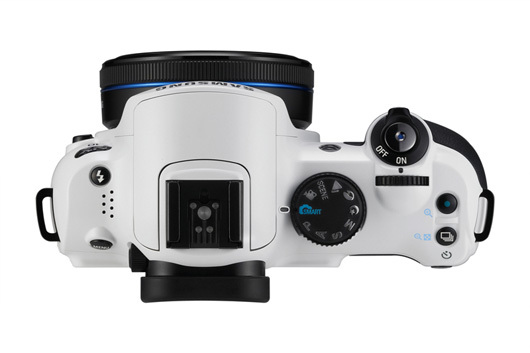 However, the Samsung NX10 features a larger sensor than the Micro Four Thirds cameras. In fact, the NX10’s imaging sensor is about the same physical size as the one found in the Canon Rebel T2i. 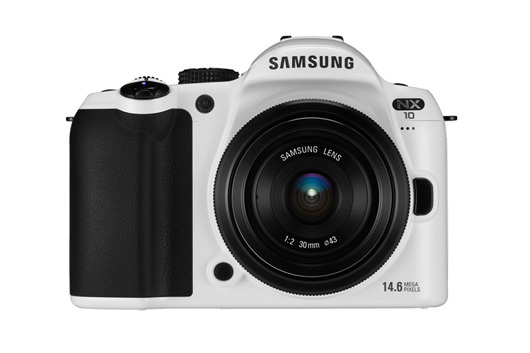 It looks like Samsung will be releasing a white-version of the NX10 mirrorless camera for all of the Storm Trooper photographers out there. SamsungImaging.net is reporting that the camera will be available on May 7th. 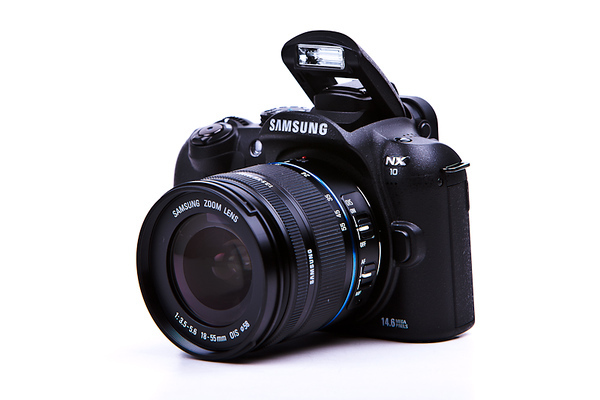 Update: As of 1/4/10, the Samsung NX10 has been officially announced. For additional details, click here. The Samsung NX 30mm f/2 lens has leaked out onto the Pentax Forums. The image in this thread reveals the expected pancake form factor of the 30mm lens with a 43mm filter thread. According to the poster, the leaked image was supposedly captured with a Samsung NX10 and 18-55mm lens. Other loosely “confirmed” lenses include the aforementioned 18-55mm zoom and a 55-200mm zoom lens.